Are you thinking why should I follow my dentist on social media? With social media becoming a prominent figure in our daily lives, our very own Practice Principle, Dr Misbah Junaid gives her patients three good reasons why you should follow Platinum Dental Care on Facebook, LinkedIn and Twitter and how Canary Wharf patients can benefit. Platinum Dental Care’s social media pages provide a great on the go newsfeed for patients, who want to find out more about dental tips, enter online competitions learn about new products and take advantage of promotional offers such as a new whitening procedure or popular products that patients at Platinum Dental are using. By regularly visiting our social media pages you can even see the results of successful treatments by commenting and engaging with patients who post before-and-after photos of their teeth. You can also find out more about our team and keep up to date with what’s happening in the practice. We post regular content and promote fun and engaging dental health tips so we aren’t just filling our posts with self-promotional material. By joining us on facebook and twitter you can give us one to one feedback on our services as well as interacting with our posts and blog comments. Your feedback helps us provide you with a better service. 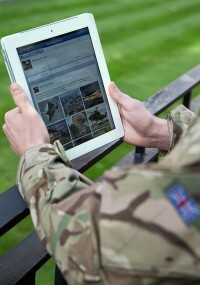 Facebook likes, shares and comments provide us with information on what we’re doing well and what we can do better. You can even leave messages for staff members who engage with their patients on a daily basis, so there is no longer a need to pick up the phone. We will be running competitions to through our Facebook Page and Twitter feed giving and your family the chance to win lots of prizes. By liking our page or retweeting our tweets, you can receive information about competitions and entry details. If you still aren’t convinced by Facebook or Twitter why not join our LinkedIn group where you can get updates on our latest blog posts.